The Stone Wheel Dresser Tool (also known as Huntington-type grinding wheel dressers) consist of star-shaped Cutters made of heat treated Carbon Steel. 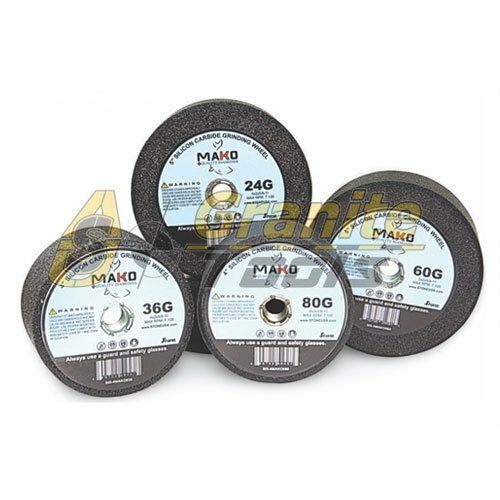 These cutters spin when applied against a moving Grinding Wheel to re-true and clean its surface. The Dressing Tools are the only tool which will restore a Grinding Wheel to its original condition (Abrasive Sticks and Diamonds will re-true a Wheel but will either clog or partially destroy the Grinding Wheel original surface grain structure). In other words, when properly used, a Dressing Tool will extend the life and dramatically increase the efficiency of a Grinding Wheel. 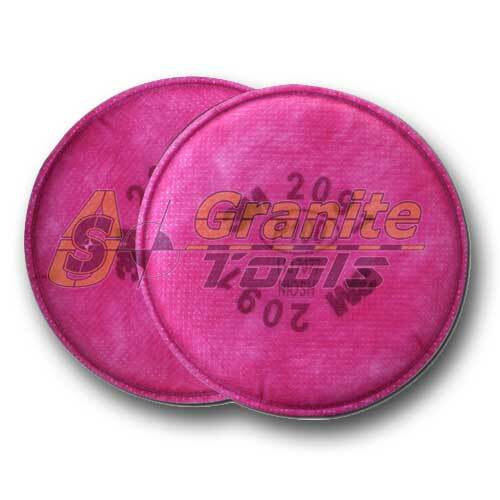 The Stone Dressing Wheel Tool Handle is used to Clean and True up Silicon Carbide Stones used for Shaping and Grinding Marble, Granite, Travertine, Limestone, and other Natural Stones. Simply touch the Dressing Wheel with the Cutter to a Silicon Carbide tool while running. It will Dress and Reshape the Silicon Carbide Stone, quickly and easily.